Cardiovascular diseases (CVDs) are considered to be the number one cause of deaths in the world. In 2015 it was estimated that 17.7 million people died from cardiovascular diseases, representing 31% of all the deaths that occurred worldwide that year. The disorders are also considered lifestyle diseases because, with proper dieting and exercise, it is easy to evade them. The review, however, breaks down to the elements and considers vitamin D as a causal factor of this diseases. 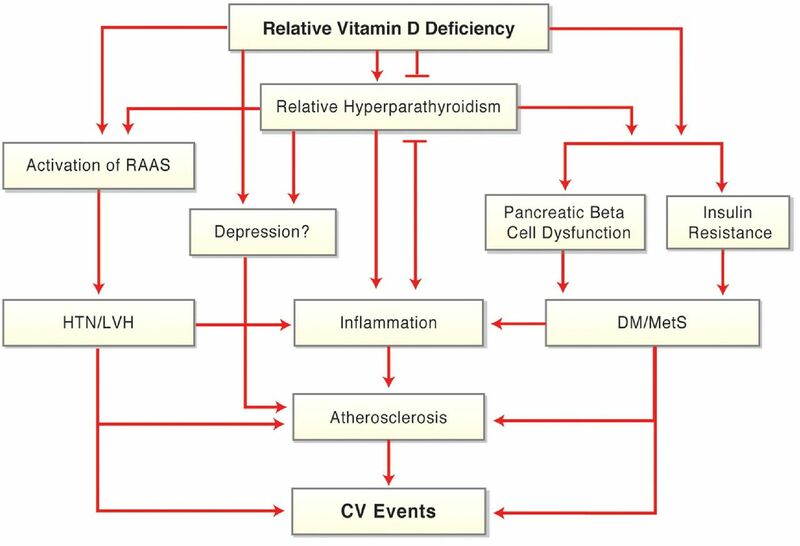 The above are the reasons why I decided to look at this article that sheds light on how the Vitamin D relate to these cardiovascular diseases. The review is aimed at bringing to light the role vitamin D plays in the cardiovascular system. It analyzes vitamin D’s role from endothelial dysfunction initiation to stroke and myocardial infarction development. According to the article, atherosclerosis is the leading factor that causes peripheral artery disease (PAD), heart attacks, and stroke. It’s a plaque characterized by clogging and hardening of blood vessels and arteries. The article highlights that there is a challenge in identifying all the factors that play in initiating and aggravating the development of the plaque. Also, there is little knowledge of the potential role played by the deficiency of vitamin D. The article states that, in the past one decade, there have been several studies and all seem to propose that lack of vitamin D promote the formation of atheroma and that with vitamin D supplements the vascular risk depreciates. The studies also offer an opposing suggestion that vitamin D may aggravate the risk of calcification of the blood vessel walls. The article, therefore, goes ahead to look at these two propositions in detail. The article presents several pieces of evidence to support each of the proposition. By the end of the discussion, it is not entirely clear whether vitamin D plays a role in cardiovascular risk or not. However, the article provides two explanations for this. One of the possible explanation is that it is possible that vitamin D concentration is associated with the formation of atheroma but with a U-shape relationship where both low and high level of the vitamin causes vascular risk. The second explanation is that atheroma formation is common for middle-age and young-old adults when there is a deficiency of the vitamin D. The opposite of this is however expected for older adults where with aging there is frail of the blood vessels. The article, therefore, proposes further studies in this area to identify the exact role played by vitamin D in the vascular system. Other than vitamin D’s role in atherosclerosis, the article looks at the vitamin’s role in myocardial infarction (MI) and stroke. The article suggests that low levels of vitamin D are associated with myocardial infarction where some studies which were done previously support this. The article proposes that maintaining 75nmol/l or a little higher than that reduces the possibility of MI and other cardiovascular diseases. The article further proposes that vitamin D presence may protect an individual against stroke however only a few studies have been done to prove this. In conclusion, the article recommends further studies to be done on the subject to produce conclusive results on how vitamin D impacts on stroke, MI, and atherosclerosis.